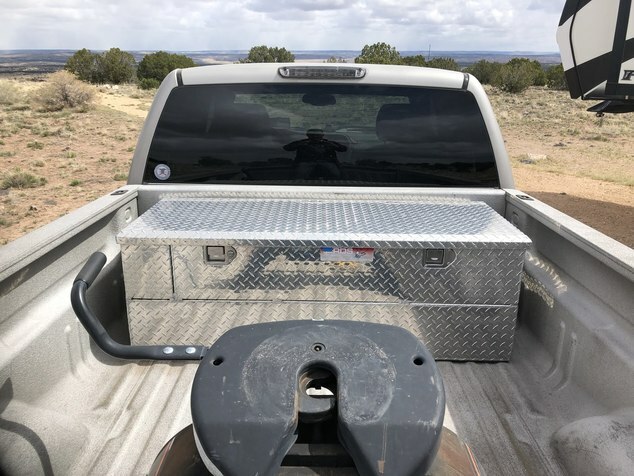 I just bought a 2019 Ford F-350 SRW to replace our old 2002 F250 SRW and am interested in getting an auxiliary diesel transfer tank in the next 6 months to increase my range while towing. I most the time tow a 14 foot aluminum trailer behind my Keystone Cougar fifth wheel with our Kawasaki Teryx so getting in and out of fuel stations is difficult and backing up isn’t really an option. I have my eye on an RDS aluminum 45 gallon tank that would go in the front of the bed and is only 10.5 inches wide. It should be plenty of capacity for me and I like how narrow it is to take up minimal room in the bed of my truck. Does anyone have any experience with these or other aux fuel tanks? 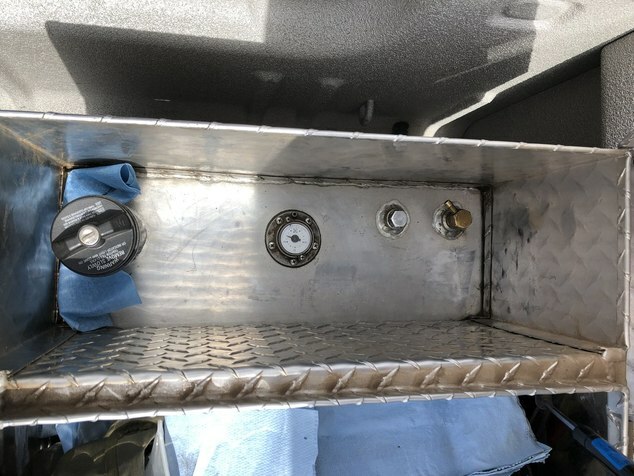 I want to do it right the first time especially since installing the gravity fed line to the main fuel tanks requires drilling a good sized whole in the bed of my brand new truck and several other smaller wholes to mount it to the bed. Looking for any suggestions of what to do or not to do. I'm looking at a similar tank but with a tool box on top. Our Chevy only has a 26 gal fuel tank so I'd like to have a little bit more fuel onboard. I have the RDS 45 gallon tank and love it. You will not be disappointed with this tank. 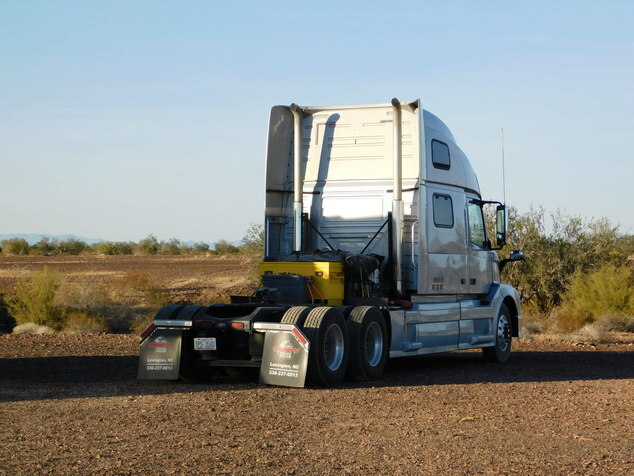 It gives you tremendous range allowing you to unhook from your rig and fuel up anywhere. 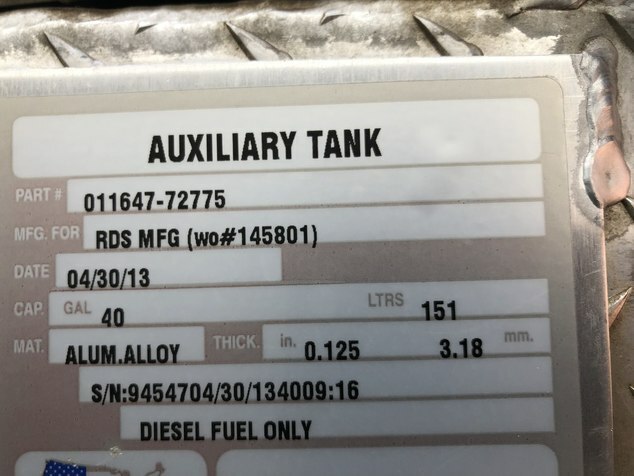 I have the 33 gal RDS 71804 on our 2015F250 diesel, works great, no problems, basically doubles our range. Sounds good, I appreciate all the replies. Is the gravity fed system with the valve the best way to plumb it in. Any one using a pump and gas pump nozzle? We have a F350 with a 90 gallon tank in the bed of our truck. 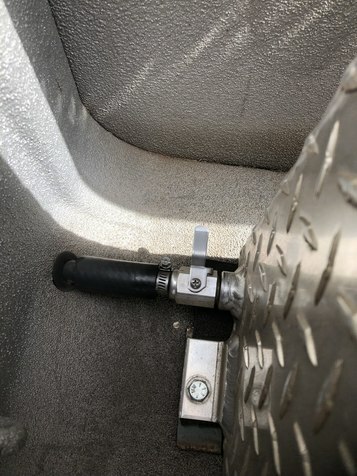 We almost never fill it all the way up because of the weight but it is really nice when towing as we can get cheep fuel and don’t have to stop at bad stations for fuel. It adds a lot of comfort to our trips. With 300 gallons of fuel on board i don't think we need a extra fuel storage source. We can only go 2,300 miles before our next fuel up??!! Don't fill up in CA. Trips to the fuel station are painful for me and my 30 gallon tank. With our outfit, we could run thru that state and never put a drop in our tank. That is the good thing with our truck, I can pick where we will fill up ahead in advance. Its not like they told the Bevely Hill Billy's. IT's California isn't the place you ought to be. Fuel is too high for my poor self. We were on our way back from Alaska and we entered and didn't know about fuel prices there. We got out of it as quick as possible. I hate it but we want go back. On the comment about fuel, we have travel three years now with Fatbaby and she has the standard 36 gal. tank from the factory. We had 55 on the truck before here. We haven't been in a pinch yet. Always pass something even going to Alaska in April we had no problem with getting to low. We have enough weight as it is, don't want more. I would think the gravity is much better, just flip the valve and let gravity do the work rather than having to get the pump out each time. I pull from the main tank until it gets to about 3/4 empty, then open the aux tank valve. Does tapping into the fill neck with the gravity fed system make the fuel gauge read erroneously? I would think as it fills from opening the ball valve it should show the tank getting fuller. 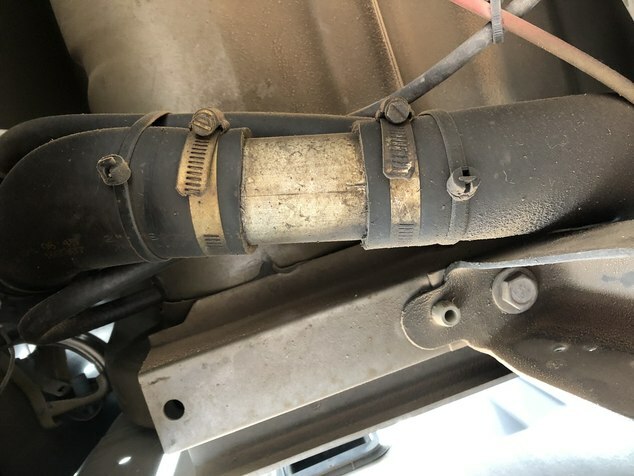 My last truck was a 2002 7.3 F250 and it had an inaccurate fuel gauge and it drove me nuts. It has for me a couple of times. My max range towing the 5W is around 300 miles, but I've seen the gauge read 4-500 miles as the main tank became full. Somebody told me that using the gravity fill will cause your readings to be wrong permanently but I haven't seen it yet. I have the RDS 40 gallon auxiliary fuel tank with the tool box on top. I have used it for approximately 4 years now. The only thing that I noticed was if you fill it up in very hot weather it will over flow out the vent valve. I can let the truck get down to 1/8 of a tank before opening the valve and still not run out of fuel on the truck. The box sets just below the truck side rail. 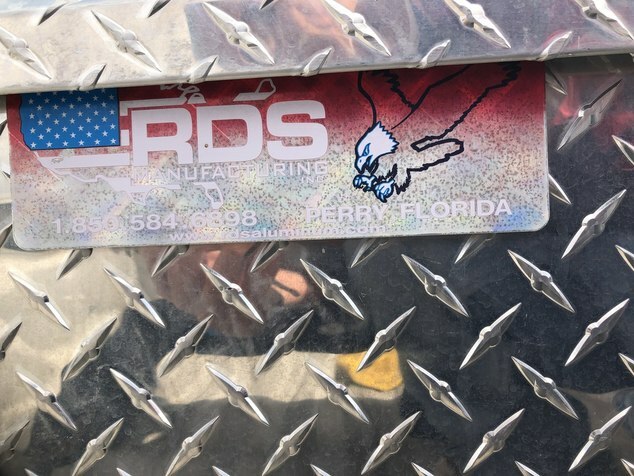 No worries on making contact with the RV. The fill spout is locked in side the top cover. Awesome. Thank you for all the pics. It looks nice. I wish I had the room for the toolbox version. 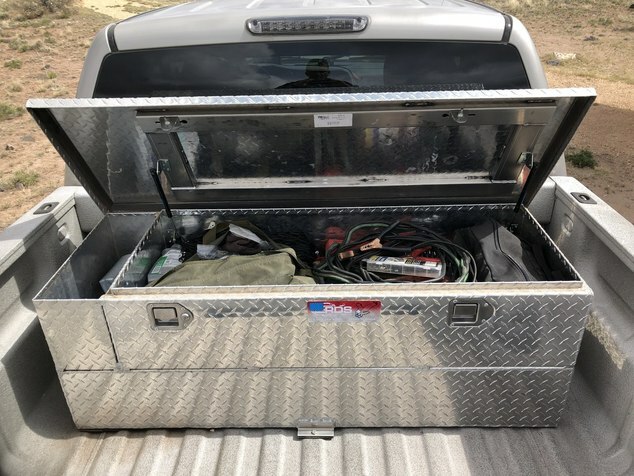 I like the look of the tool box and tank combo, I have a 8ft bed with B/W companion hitch. I am wondering how much space between the two for things like a GE 4500 Generator?? My 32 gal OEM tank empties real quick when towing, that 40 gallon tank would double my distance between fuel stops. I also have a 8’ bed. I have 6’ of bed left after the box and 23” between my box and hitch plate. As far as the in accurate fuel gauge reading go’s if you don’t let your truck Tank over fill you won’t get a bad reading on the gauge. I can shut the Auxiliary tank off when the truck shows full and the gauge reads fine. Then I open it back up after burning off a 1/4 tank and let the rest of the fuel go into the truck. Thank you for clarification. That makes more sense.